Yet my city was not immune to the so-called radioactivity panic. For instance, I heard that concerns over the dispersion of radioactive substances caused a sweet-potato broil to be fueled with fallen leaves from the hillsides to be cancelled. In another situation, a close friend of my son at kindergarten suddenly relocated elsewhere after the big earthquake. The sudden move remains a rather awkward conversation topic with a lingering memory among the mothers who are friends through the kindergarten. As described above, in contrast to the small risk presented from a natural science perspective, the Fukushima nuclear accident causes heartache among people, and serves to disrupt relations between people. The effect appears to be mainly a sociological or humanities issue. Compared to the actual risks then, why has such a severe, abnormal reaction occurred among some people? Thus far, a healthy debate has progressed steadily from the perspective of risk recognition, but I would like to discuss this issue from a different perspective. Personally, however, I consider a little more precise and careful survey and study necessary before adding a new concept of radioactivity to the “kegare” category that is deeply connected to traditional religion and views of Nippon Archipelago. Perhaps a more general conceptual framework is better. For example, Kinya Abe, who advanced the methodology of social history within the field of Western medieval history, discovered a closely resembling concept to “kegare” that Yoshihiko Amino observed in the history and culture of Nippon Archipelago. In a similar fashion to the discrimination imposed throughout Japan on leather craftsman, executioners and entertainers, medieval Germany discriminated against executioners, police officers, prison guards, gravediggers, leather craftsmen, shepherds, millers, brick workers, tower guards, musicians, bathhouse owners, barbers, chimney sweepers, street cleaners, etc. This list may have prompted many to scratch their heads. For example, those who were in daily contact with dead livestock like leather craftsmen were subjected to discrimination like in Japan, but why a miller or barber? Abe did not provide a singular explanation to this issue, but suggested that social factors (e.g., ill feelings toward state authorities or violators of the privileges held by cooperative associations) held a large part in this, as well as the medieval European people’s views about the cosmos. People at that time considered the human body or community as the micro cosmosmicro cosmos and the unknown world spreading out beyond as the macro cosmosmacro cosmos. Their lives could not be completed within the micro cosmos they knew full well, but required the use of forces from the uncontrollable, incomprehensible, macro cosmos. Crops relied on the forces within soil, and consumption of these crops relied on forces of fire or water (milling by water wheel). For the people, the forces of the macro cosmos were truly awesome and desirable when brought into the community to the minimum extent necessary. Consequently, workers directly handling soil, water, and fire that constitute forces of the macro cosmos were feared and came to be discriminated. Peter L. Berger’s classic sociology title The Sacred Canopy argues how such notions of fearing the world beyond everyday life act on human society. In the book, Berger portrays a conflict between nomos (order) and chaos (disorder) for the cosmos that we actually exist in, and noted that the intrusion of chaos, the unknown or incomprehensible, into our world of living where order is maintained through our knowledge (or so we feel) invokes fear among people. Humankind, in earlier times through religion and later through science, converted the incomprehensible into the comprehensible to remove such fears, according to Berger’s view. Let us return to the discussion of radioactivity now. We can interpret the people afflicted with the so-called radioactivity “panic” to be in a condition where they are unable to trust the accumulated dialog of science and resulting risk assessment concerning the radioactive substances spawned from the Fukushima nuclear accident. Thus, the incomprehensible “chaos” intruding their world of everyday living from the outside is probably gripping them with fear. This is a kind of religious fear, rather than scientific affiar. No matter how much of the latest knowledge from science is shown along with calls to remain calm and collected, that effort cannot be expected to be highly effective, since this fear is emerging from the core of human existence. The instance of this problem is one level deeper. In other parts, the radioactivity panic is definitely making a terrible impact on Japanese society that cannot be condoned, such as the dispute in Okinawa Prefecture over the welcoming of snow from Aomori Prefecture, the wide-range disposal of tsunami-related debris, and rumor-based financial harm to agricultural and fisheries products of the Tohoku and North Kanto regions. In fact, people afflicted with radioactivity panic are antinomic. They are victims and perpetrators at the same time. Society in Japan reaps no benefit from leaving victims and perpetrators untended. They are all part of us—from the largest perspective, they are members of the same nation. How should Japanese society come to grips with this issue then? We, which means sociologists in particular, should conduct properly designed social surveys in order to assess the populations and locations of people afflicted with radioactivity panic, the lives they are leading, and their daily emotions and thoughts. As far as I know , Atsushi Takarada did the only social survey (“Regional Renewal Movement Born from ‘Hot Spot’ Issue—Tokyo Metro Kashiwa to Okayama” [trans.] found in Nuclear Power Plant Evacuation [trans.] by Yusuke Yamashita and Hiroshi Kainuma). 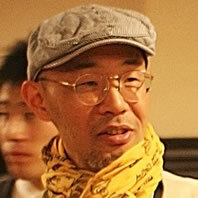 Takarada’s research is important, clarifying through the social survey that voluntarily evacuated people are largely supported by SNS and email, which are Internet communication means, and selectively attaching importance to the views of three individuals, Kunihiko Takeda, Tatsuhiko Kodama, and Yukio Hayakawa. Fundamental research is far from sufficient, however. We should avoid concluding that these people are understood from only one sociology paper. With respect to social issues, firstly detailed information must be obtained objectively as possible for the contemplated subject, just like radioactivity. Caring for people who no longer have trust (Berger’s term would be “plausibility structure”) in knowledge or theory widely believed in society works only through a patient, steady process of developing a trusting relationship. As described above, since the issue is no longer associated with scientific theory, defeating the views of Messrs. Takeda and Hayakawa, for example, through scientific and logical rhetoric is meaningless. In this situation, the trusting relationship established between individuals, however, can help. Even though worldly views and beliefs may be different, if someone can trust another as a human being, then that kind of relationship between persons afflicted with radioactivity panic and those who are not, multiplied by a large number, could avoid conditions where those afflicted with radioactivity panic become isolated from society and belong solely to a homogeneous community through SNS and email. Presently, however, we don’t even know how many people are afflicted with radioactivity panic. The author, therefore, pleads for a social survey first. Now that one year has past since the Great East Japan Earthquake, there seems to be a developing atmosphere of advocacy towards dividing and scientifically and objectively debating the various social issues thus far bundled and treated as one “earthquake” issue, such as relocation to higher ground, disposal of debris, the evacuees, energy in general, and restarting the nuclear power plants. If this is the case, then doesn’t the radioactivity panic issue need to be examined through scientific methodologies as one of the social issues stemming from the earthquake disaster? Not just to mean looked down on, Abe used the term senshi to broadly mean the disdain that included emotions of fear and awe. Kosei Kato Professional focus on sociomusicology and environmental sociology. Recent authorship includes “ ‘Corona’ as Polynesian Metaphor [trans. ]” (Yuriika Jan 2012 extra edition, Total Special Feature Naoki Ishikawa’s Spirit Runs from Back Alleys to Everest [trans. ]), “Positioning of Satoyama Activities in Regional History: Focusing on Green Work of Inagi Satoyama [trans. ]” (Tama New Town Research, Vol. 14, currently printing), etc.